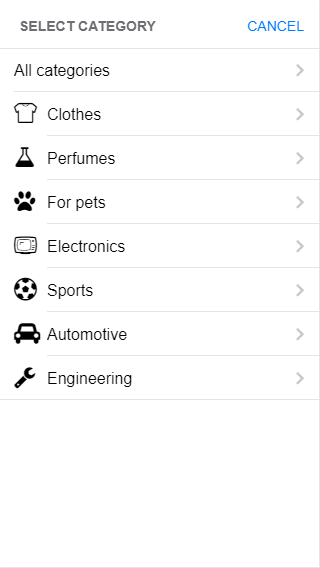 Application provides lists of items (cards), separated by sections, categories and subcategories. Search is available. Each item has details page with photo-slider, rich description, block of clickable contacts (email, phone, website) and an action button. Detailed documentation is included in the bundle! 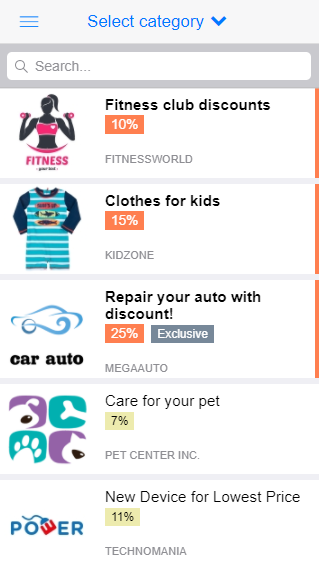 App is Cordova-based, ready to be built for any platform, supported by Cordova/PhoneGap. Android is fully supported. Data is fetched from backend server in JSON-format. 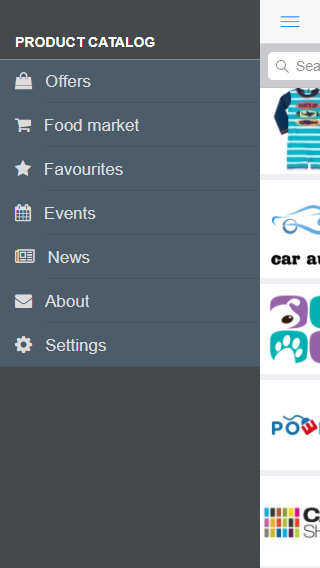 It is cached locally on device (uses localStoarge), and is viewable even if no internet connection available, so an offline mode is supported. A description of JSON-structure is available and you’re free to implement your own backend with database. 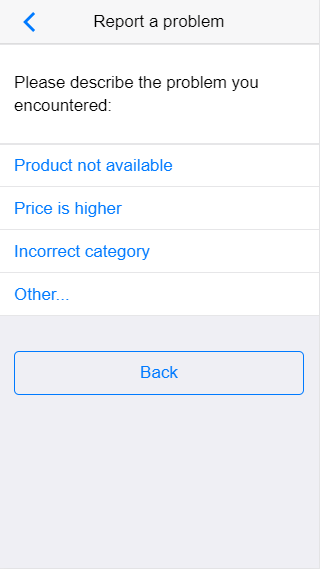 Items, presented in application are structured as : Section -> Category -> Subcategory1 -> Subcategory1-1 etc…. Section is selected through side-menu. Further category filter can be applied through 2 types of selectors supported: vertical and horizontal scrollable selector. Horizontal selector supports infinite depth of categories. 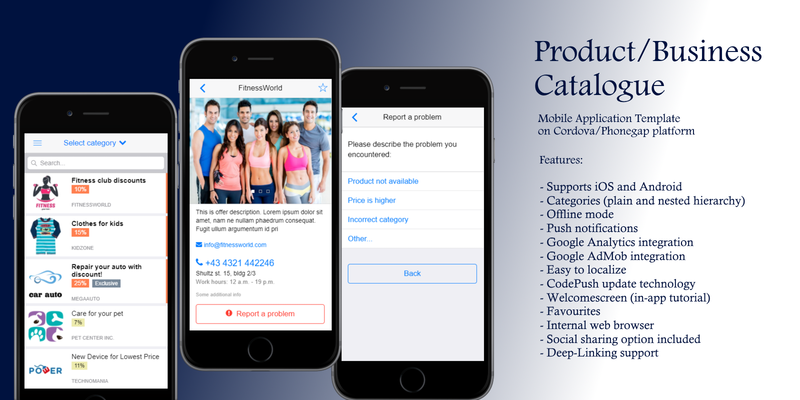 Cordova , Framework 7 (a free and open source mobile HTML framework to develop hybrid mobile apps or web apps with iOS & Android native look and feel. It’s simple but powerful). A complete ‘jump start’ kit to create different types of catalogs related to product, objects, real estates, articles and companies etc. 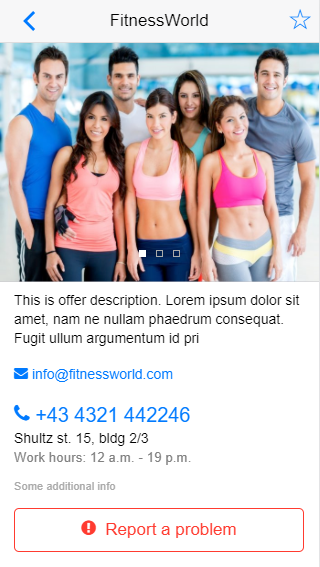 These items have details with rich description, photo slider, contacts like site, phone and email with some action buttons. 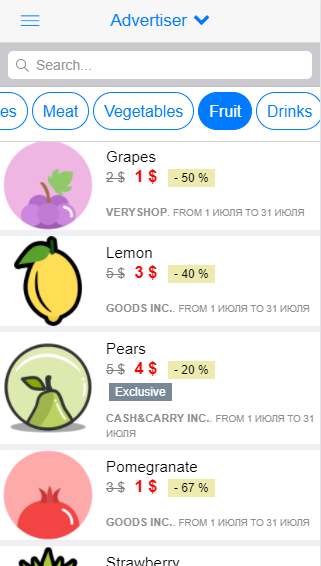 This App is Cordova-based template especially for Android and ready to create for all platforms, it is supported by Phone-Gap. Android is used properly. Data is extracted from back-end server in format. It is viewable and works without internet connection.